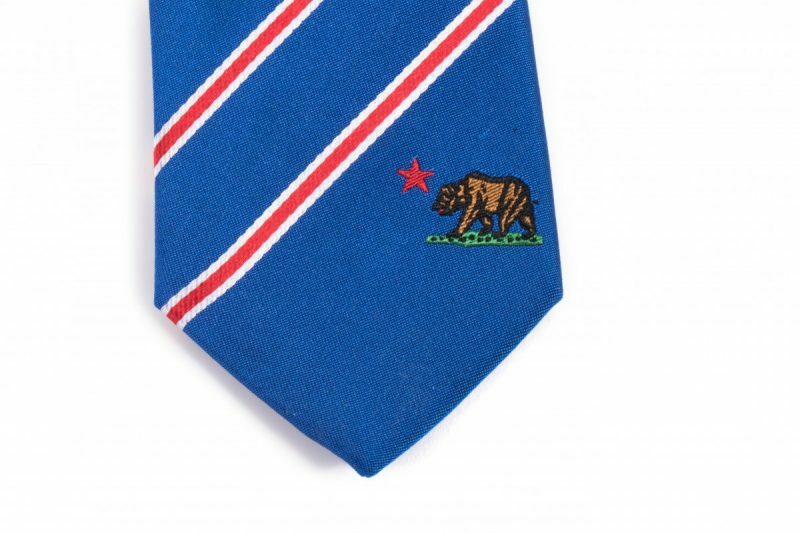 Recently the company Statesman Ties reached out to me about their unique ties. Eric chose the California tie right away, and we had our amazing friend Erin from Erin K. Photo take some pictures for us. This weekend he’s out of town camping, which has made me miss him a WHOLE lot. I’m asked all the time how I met my husband so I think It’s a perfect time to think back and write about how I met my California dream boy while sharing these pretty pictures. In order to start this story, I need to back up. About a month after I placed Greyson for adoption (you can catch up with my adoption story here), my friend Mitch from high school reached out to me. He was serving an LDS mission in Pennsylvania and had felt the need to reach out and see if I was doing okay. He heard that I’d struggled and was kind enough to be my friend. Mitch had a missionary companion named Eric. Around the same time that Mitch felt strongly to reach out to me, Eric felt strongly that he needed to officially break up with a girl he had dated before he left. Fast forward nearly a year. I was finally in a good place in my life. I was going to college, I had a great job and some great friends. I hadn’t had much luck in the dating department, so I’d decided that I was really going to just focus on myself. Mitch and I had kept in touch throughout his mission and it was time for him to come home. In our church, we hold special homecomings for the missionary where they speak about their mission to friends and family with a luncheon afterwards. Mitch had his homecoming scheduled the first Sunday he was back. The morning of his homecoming, I woke up feeling SO tired. I’d been hanging out late with friends the night before and I really didn’t want to get up and get ready by 9am. But I knew I just had to come and give a hug to my awesome friend who had been such a huge help to me during a difficult time. So I went to the homecoming and planned on skipping the luncheon so I could go home and sleep. As I was about to leave, Mitch insisted that I get some food. I couldn’t pass up food (I never can) so off I went. I looked around the room and saw a few people I knew from high school. I said hello to some, got some food and realized that pretty much all of the tables were full. The tables with open seats had people sitting down that I didn’t know. There were also a couple of empty tables left. I didn’t want to be a loser and sit by myself, so I decided to sit by a stranger. He was a handsome guy sitting by himself. I naturally assumed, because he was so dashing, that he had to have been there with someone (a female someone). I boldly asked if I could sit at his table, he said yes, and with the assumption that he had a girlfriend or wife, I sat a couple of chairs away. I looked up at him and I’m telling you guys: he seemed familiar to me. He had these beautiful, kind, green eyes, dark brown hair and the most perfect smile I had ever seen in my life. I was so lost in those green eyes that I barely heard him ask, “So, how do you know Mitch?” I told him that he was a friend from high school and the stranger I was slowly falling in love with told me that he had been companions with Mitch in Pennsylvania about a year ago (ring any bells) and that he had just returned from his mission 6 weeks earlier. I deducted that since he was pretty fresh off of his mission that he could indeed be single. I pretended I couldn’t hear what he was saying, so I moved to the seat next to him (smooth). I found out that he was attending Utah State University (about an hour away from me) but that he was originally from Orange County, California. I’ve always loved California. I love the beach, the sun, the vibe, everything. Growing up, I always wished that I lived by the beach and would dream about marrying a California surfer boy. I turned on my flirting A-Game and said, “If you’re from Orange County, I’m sure you surf. You should teach me how to surf sometime.” He smiled at me with that perfect smile and told me that he would indeed teach me how to surf. Score. For the record: I still don’t know how to surf. We continued to talk as a few other people sat down at our table. We all ended up hanging out and having a great time, but I still wanted to spend most of my time talking to my handsome stranger. Mitch sat down to say hello and we were officially introduced. Up to this point I hadn’t even asked for his name. I now knew that his name was Eric. I began planning our wedding, naming our future children, and designing our home in Orange County in my mind. Just kidding. Kind of. I wanted to hang out talking with him for the rest of the day, but eventually Eric needed to go. I remember thinking that if he didn’t ask me for my number, then I was asking for his. Luckily, as soon as we stood up, he pulled out his phone and nervously asked for mine. It was adorable and I’ve never been more excited to give a boy my number in my life. I went home and told my sisters and mom all about this handsome boy I had met. I did a sleuthy Facebook search where I found his profile and sent him a friend request. He accepted that evening and I was the one to send the first message. I totally pursued him and I’m not even ashamed. We talked on Facebook back and forth for the rest of the evening and then he texted me the next morning. That night he called me asking me out on our first date (which I could legitimately write an entire blog post about). The rest, they say, is history. We like to say that our meeting was “fate” because it was such a slim chance. Apparently he struggled to get to the homecoming as well. He was only planning on staying for a few minutes, but once we began talking he didn’t want to leave. Eric has told me that the entire time we were talking that day, there was a voice in his head telling him to ask for my number. If Mitch hadn’t felt strongly to reach out to me, if Eric hadn’t felt strongly enough to break up with that other girl, if either one of us had decided not to go to the homecoming, we would never have met. I believe God placed Eric in my life and I am grateful every single day that He did. It’s now been over 5 years and as you can probably tell, I’m even more in love with him now than I was that first day we met.